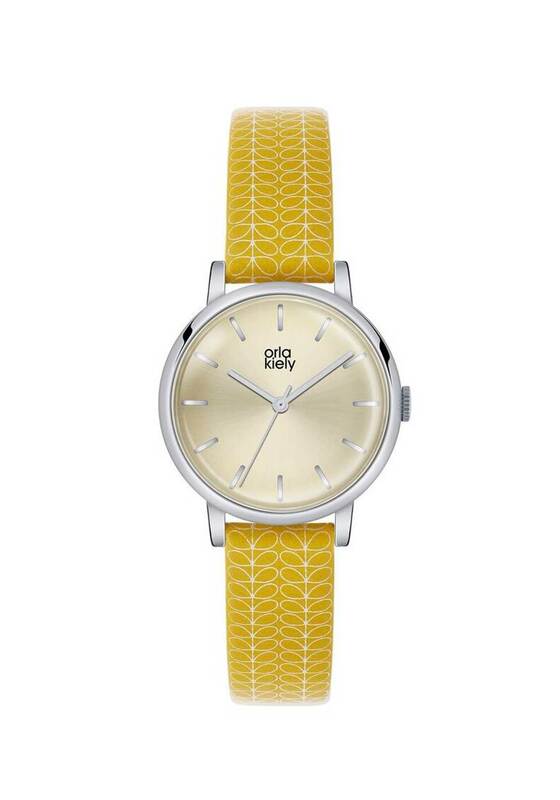 Crafted from genuine leather in the traditional Orla Kiely design, we present this watch designed by Orla Kiely. 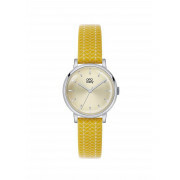 The watch is in a sunshine yellow, and a beautiful silver face with a pearl like background. Complete with a buckle fastening.